Navy Hall is the fourth oldest building on campus, opening in 1942. It was built to be a junior high school before World War II erupted and served as a Naval training center for flight instructors and officers until 1945. 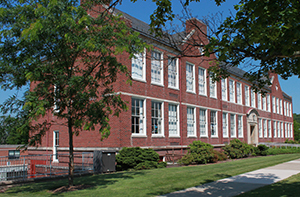 It then housed the business education department until Sutliff hall opened in 1960. Renovations to Navy Hall were completed in 2006.